What on earth caused John Surratt, Jr., former Roman Catholic seminary student, to get involved with John Wilkes Booth’s insane plots against President Abraham Lincoln? Not having left any diaries behind, John took his reasons, his hopes and his fears to his grave in 1916. But from what we know of his devotion to the South, his desire to make his late father proud, and his need to be a war hero, we can draw up a believable picture of what made John tick. 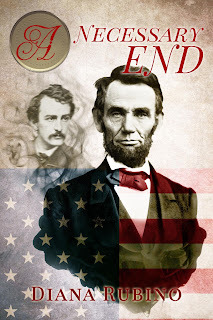 John Wilkes Booth recruited a small group of confederates whose paths never would have crossed if it weren’t for their devotion to him, and to The Cause. John met Booth through Dr. Samuel Mudd, whose name went down in infamy as the doctor who set Booth’s broken leg on the night of the assassination. The handsome charismatic actor charmed everyone, male and female, and John Surratt was no exception. When Booth and his cohorts began visiting the Surratt boarding house to discuss abducting the president in exchange for prisoners of war, John and his mother Mary became loyal followers, eager to do his bidding. The group consisted of David Herold, Lewis Powell, George Atzerodt, Samuel Arnold, Michael O’Laughlin, Mary Surratt and John. Each had their separate talents and purposes to aid the plot—which failed not once, but five times. Two days after General Lee’s surrender, President Lincoln appeared at a second-story White House window and spoke to an adoring, jubilant crowd. Booth happened to be standing there among the well-wishers. When Lincoln promised blacks the vote, Booth decided abduction would no longer be adequate. The only way to avenge the South was assassination—not just of the president, but the other heads of state, Vice President Johnson, Secretary of War Stanton, and Secretary of State Seward. Booth’s group met at a hotel to discuss the details. But one mystery will forever be enshrouded by the shadows of time—did Mrs. Surratt and John know of the assassination plot? The essential question of John Surratt’s story is: where was he on April 14, 1865, the night Booth shot President Lincoln? In Surratt’s 1867 trial for Lincoln’s murder, the federal prosecutors maintained that he was in Washington City all day and well into the evening, helping Booth set up the assassination. In front of Ford’s Theater, it was John who called off the time every ten minutes, his announcements relayed down the road by other unnamed accomplices to David Herold near Lafayette Park. Herold then coordinated Powell’s attacks on Seward and O’Laughlin’s on Secretary Stanton to correspond with Booth’s assault on Lincoln. But John Surratt’s defense team insisted that he was not in Washington that fateful April 14. He was in Elmira, New York, allegedly checking up on the numbers of Confederate prisoners of war held at Elmira prison for a possible exchange. Railroad employees attested that existing schedules and bridge washouts made it impossible for John to get from Elmira to Baltimore, much less Washington, in less than a day and a half or two days. Both sides claimed the other’s witnesses were lying, then produced new witnesses to verify the integrity of their own deponents. In fact, John was involved in two attempts to kill Lincoln and his cabinet that April week. The first, on April 13, saw Booth assign John to kill Vice President Johnson in the original plot hastily hatched that evening. That plot failed when the Lincolns didn’t appear at the theater. But on April 14, the Lincolns invited General Ulysses Grant and his wife to Ford’s for the evening performance, making Grant a perfect target for assassination. Unfortunately for the assassins, a glitch developed in the plan. The Grants declined the presidential solicitation and left Washington. Booth saw the Grants leave. Indeed, he had ridden up to the Grants’ carriage and peered menacingly inside as they rode down Pennsylvania Avenue, headed for the railroad station. As Booth saw half of his reason for killing the president on April 14 disappear, he providentially ran into John on the street and ordered him to follow Grant and kill him on the train that night. Hence John had plenty of time to arrive in Washington on the 13th and plenty of time to get to the Canadian border the night of the 14th, regardless of the state of the tracks or rail schedules. Barring a train wreck, he was ahead of all delays that man or nature might dream up. John’s role as Booth’s right-hand man was too important to consign him merely to call out times on a clock. Obviously, as General Grant lived a long productive life as commander of the U.S. Army and President of the United States, John failed in his assigned task. He boarded the train and walked past Grant, so close John brushed against him. But it wasn’t meant to be. John later collapsed, physically and emotionally exhausted—and greatly relieved. His dilemma—whether to carry out this deed for his love of the South, or back out and be branded a coward, but live free from sin—consumed his thoughts, prayers and dreams throughout this part of his life. John fled the country after the assassination, and heard second-hand that his mother had been hanged, along with Herold, Atzerodt, and Powell. Booth was already dead, trapped and shot in a barn, the final stop on his escape route. John was eventually seized in Alexandria, Egypt and brought back to the U.S. to face trial, after which he was acquitted. He’d never achieved his wish of being a famous war hero. He’s a rather obscure historical figure, known only to Lincoln assassination devotees. But he wasn't a would-be hero; he was a young man devoted to his beloved country, but emotionally torn. On one level, avenging the South was a noble deed. But deep down, his fear of God’s wrath prevailed. A backwoods Maryland boy came of age during the Civil War, starting out as a courier, and becomes embroiled in one of the most notorious plots in American history. As a HUGE Lincoln assassination buff, I've read numerous books about the subject, and wrote my own, A NECESSARY END, about Booth's insane plot to murder the president with a paranormal twist. One of my favorite books on the subject is BACKSTAGE AT THE LINCOLN ASSASSINATION, about how the tragedy affected the actors and everyone associated with the Play "Our American Cousin" at Ford's Theater that night.